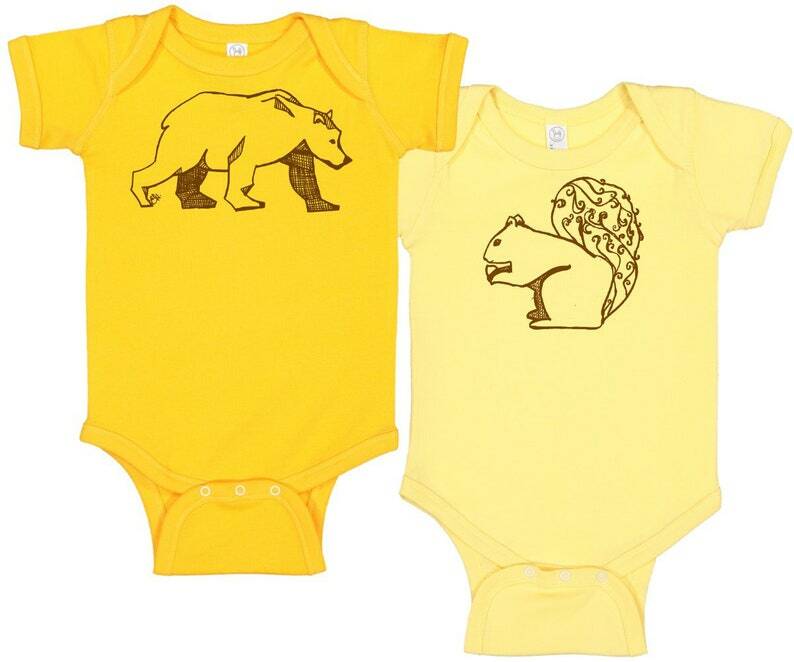 This is a set of woodland animal themed baby bodysuits. One has soft server, and the other has a triple scoop cone. If you would like different ink colors, or different size or color combinations please write them in to the "message to seller" section during checkout. *THIS ITEM HAS SPECIAL set PRICING* Price only applies to the items in this listing. ♥Sizing notes♥ Most Customers Feel that these youth shirts and bodysuits run true to size/slightly large.